Mumbai: In all the frenzy that grips the nation with the onset of Indian Premier League every year, advertisers clutter the market with ‘me-too’ ad campaigns that desperately try to seek attention. Mumbai Indians’ latest campaign by Lowe Lintas Mumbai seems to have cracked the winning approach with their digital-first campaign even as IPL warms up. India is a Cricket-obsessed nation, and most of its youth is active on social media discussing the game and its nuances as it unfolds. They use ‘social-media-speak’ that’s best understood by their peers with phrases like BRB, OMG, LOL, and colourful emojis for every mood. However, for the small-screen commentators of the game who sit outside the commentator’s box, there is no special language to express their burst of emotions. 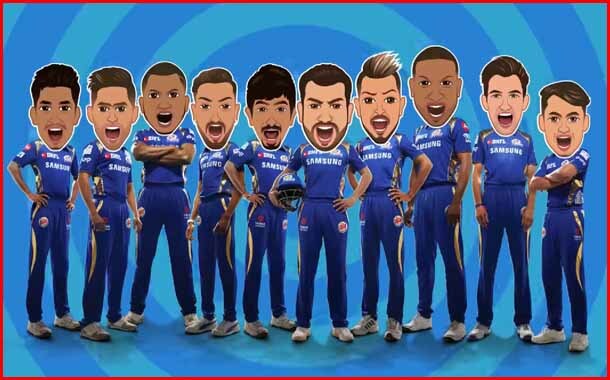 Mumbai Indians decided to fix this invisible lingual hurdle by developing Mumbai Indian Emojis. These emojis have been developed keeping in mind the unique traits and nuances of the players’ personality, and the game itself. For every MI (or a cricket) fan who goes through a roller coaster ride of emotions during matches, the emojis help express feelings perfectly. The fans can download the Mumbai Indians app from PlayStore or AppStore and get the free emoji pack to use across all social platforms. Lowe Lintas Mumbai team has extended the campaign in the offline world with Out of Home, Merchandising and all touch points using the Mumbai Indians’ emojis theme to provide a complete experience.